Please note: Customer comments have been edited, removing personal information and conversation. I wanted to thank you for your hospitality and the great time we had at the Two Rose Bed and Breakfast. You have done amazing things with your heritage property, the breakfast was delicious and it is obvious that you really enjoy providing a superior hospitality experience. Time was very short, but maybe there will be another opportunity to connect again (and practice more Spanish....). Thank you also for the photos which really illustrate what a tremendous job you did in restoring this outstanding mansion to its former glory. It will be a few months before all the multimedia coverage and articles about my experience in Brantford are completed. Once the project is completed I will send you a link and you can link to the article from your website as well. Once again, thank you for a great hospitality in beautiful St. George. "Life is a Journey - Explore New Horizons"
My boyfriend and I had the pleasure of staying here Civic Holiday weekend. We were greeted with open arms and a smile upon meeting Rene and Jose. They made our 3 day stay very comfortable and made us feel very welcome. They are a couple with lots of insight and stories. They made us feel like we were "one of the family". We awoke to a wonderful home cooked breakfast everyday. I would recommend this B&B to anyone that is just looking for a "home" away from home feel. Thanks for your hospitality. Hope to see you again soon. Thank you again for the many kind things you did for me! And all our conversations..!! In front of me is your maple syrup. I can't wait trying it..! 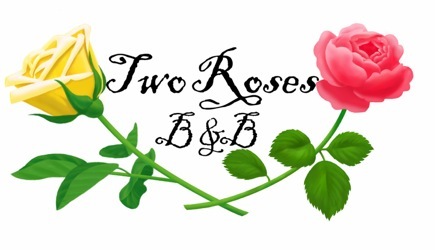 Yes, I very much enjoyed my stay at your B&B Two Roses and can recommend it any time ! I wish you many, many good guests. I want to say what a wonderful time you showed my brother Gordon, his wife Eileen, Robert and myself at your wonderful B&B. We look forward to next year. Once again thank you for such a memorable time. We have already told a number of people about the wonderful B&B. We would like to express our thanks for a wonderfully relaxing night at your bed and breakfast. The decor is beautiful, the food was awesome and the hospitality was second to none.